October 18th, 2012 has been declared World Menopause Day by the International Menopause Society. 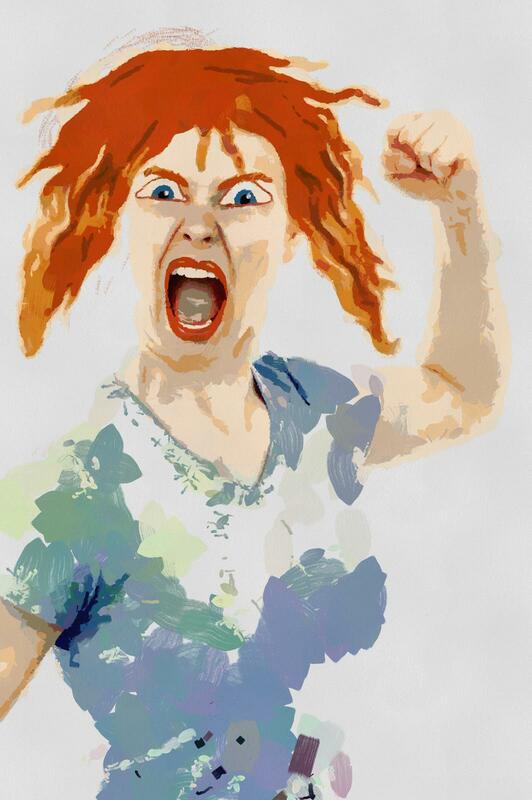 I must have been inspired to write about menopause from the cosmic group consciousness going on. The Change doesn’t necessarily mean you turn into a Werewolf. Change can be a good thing, too. As the body shifts its chemistry, women need to focus on finding a new way to bring balance and harmony to their systems. Hot flashes, night sweats, insomnia, and weight gain do not need to be your Next Chapter. When I turned about 50, I experienced a few classic menopausal symptoms. I believe my symptoms were less severe than most American women largely because I have been ingesting the Quinary Formula of Chinese Herbs from Sunrider International for about twenty years. This formulation of over 50 herbs to balance the five basic systems of the body is the biggest bang for your buck for over-all health–in my opinion. However, after one particularly powerful, nauseating midday hot flash, I hied myself over to my favorite Korean Herbalist/Health Food Store Owner, Lady M. She is a porcelein-skinned healer in La Habra, California. We did some muscle-testing with a row of female formulas and settled on one called Transitions from Pure Essence Labs. Transitions contains black cohash, dong quai and other herbs known to bring relief to menopausal symptoms. I stayed on the product for a couple of years and found it very beneficial. The hot flashes and increased appetite disappeared. There is no one-pill-fits-all, but there are many formulas to try. Working with a skilled diagnostition can help you find the right product for you. 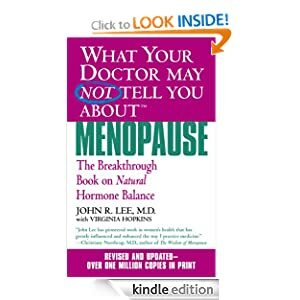 Dr. John Lee wrote the now classic What Your Doctor May Not Tell You About Menopause. He writes persuasively about how the estrogen-rich plastics and oil-based products in modern society are throwing our bodies out of balance. He touts progesterone as a way to restore balance. There are now many progesterone creams on the market. They are not all equal. Personally, the ones I tried made me too “hot,” until I started using the Young Living Essential Oil version. If you want to order a bottle, you can use my membership number–57763. The point is, if you are not functioning at optimum health–DO something about it. If you’re in hormone hell, educate yourself about what is happening to your body and then take action to alleviate your symptoms. You should be able to enjoy life at every stage. Take the misery out of menopause.